See more during a quick trip to Costa Rica with a 5-day tour that includes airport transfers and accommodation. 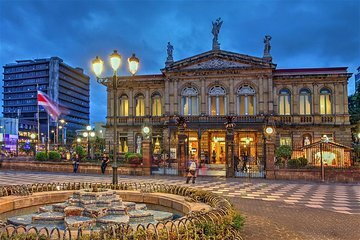 You’ll be based in a San Jose hotel and visit nearby destinations including Irazu Volcano, the colonial city of Cartago, Orosi Valley, and the bustling city of San Jose. Go sightseeing and shopping, and take in the natural beauty of Costa Rica with assistance from your local guide.